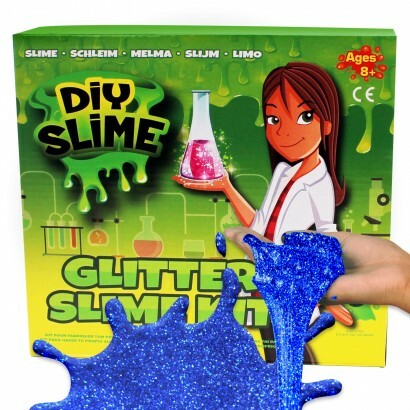 Sparkle and shine with glitter slime that you make with your very own hands! 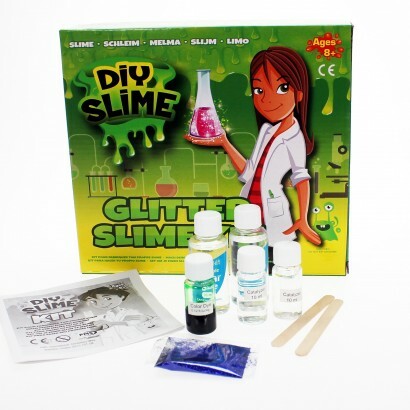 This DIY slime kit contains all that you need to make your own gooey slime and a packet of glitter for extra sparkle! Follow the instructions to to create oodles of slime that will stretch, ooze, gloop and more for ultra satisfying effects!